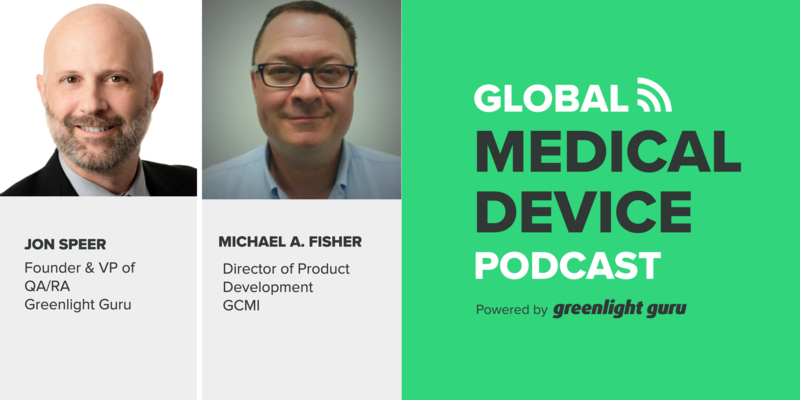 Today, we are talking to Mike Fisher, who is the director of product development at the Global Center for Medical Innovation (GCMI). He deeply understands process and product development and has worked with some great companies both giant and small throughout his career. Mike is going to share some pearls of wisdom on process excellence and how it leads to product excellence. If you're involved in bringing new products to market, you won’t want to miss today’s show. What’s going on at GCMI: What they do, some recent developments, and what’s coming up. Why compliance is so important when it comes to product development and how it helps keep the process on the right track to the desired goal of an excellent product. Considerations to keep in mind when it comes to intellectual property rights, patents and getting regulatory clearance. Why a market assessment is vital to coming up with and selling a great product, as well as thoughts on choosing a niche. Insights Mike has gleaned from a disappointing experience. Why lining up resources and getting investments is difficult for many entrepreneurs and small medical device companies. Why many companies don’t understand value concepts: They don’t know why they’re doing what they’re doing and are more focused on box-checking. Mike’s best tips when it comes to making your process conducive to product excellence. Jon Speer: Alright. So, this episode is awesome, folks. I got to talk to Mike Fisher, the Director of Product Development at the Global Center for medical innovation, GCMI. They're based in Atlanta and you can check them out at devices.net and they're doing some really exciting things. Again, an accelerator, they're medical device experts, they know their stuff, folks. But Mike shares some pearls of wisdom on the topic of process excellence and how this leads to product excellence, so for those of you that are involved in bringing new products to market in any way, shape or form, you're gonna wanna listen to some of the insights that are shared from Mike Fisher, the Director of Product Development at GCMI. 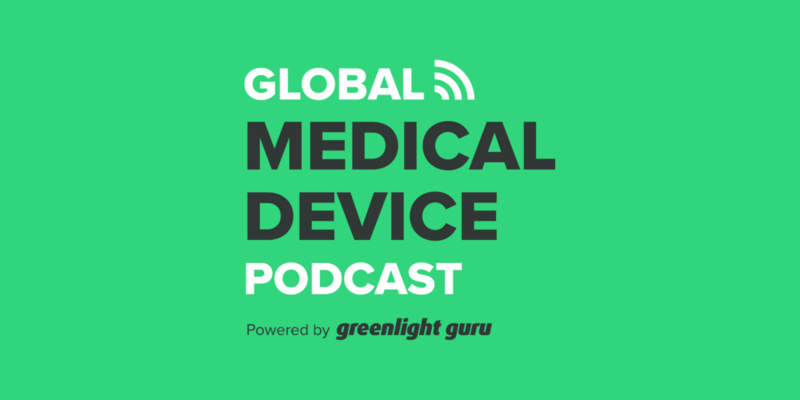 Jon Speer: Hello and welcome to the Global Medical Device podcast, this is your host, the founder and VP of Quality and Regulatory at greenlight.guru, Jon Speer and I am super excited that I've had this particular session circled on my calendar for several days now, and I'm really looking forward to it, and I hope you are as well. The topic we're gonna get into, and I'll list the title to this, this is something that's been suggested, process excellence leads to product excellence. So, for all you medical device product developers out there and for those of you that are aspiring to bring your product to market, your gonna wanna listen to this one. With me I have a guy that I really respect and enjoy talking to just about every time he and I have a chance and I know he's busy and I'm busy so, I cherish these moments. But with me I have Mike Fisher. Mike is the Director of Product Development at GCMI. GCMI is the Global Center for Medical Innovation and they're in the Atlanta area. And Mike's got quite the track record, he's worked with companies like CRBAR, Depuspine and many others. Very smart guy, understands process, understands product development. And Mike, I'm super excited to have you join me today on this podcast. Mike Fisher: I'm glad to be here. I get a lot out of your podcasts and I hope that this is useful to someone. Jon Speer: Oh great, and I wanna let everybody know a little bit about GCMI and I'm just gonna grab some information about that, but I know you can put a lot more depth and detail on that too, so we wanna make sure we talk about what GCMI is doing, 'cause you guys are really on the cusp of something super excited right now. And GCMI, the Global Center for Medical Innovation is the southeast first and only comprehensive medical device innovations center dedicated to accelerating development, building businesses and improving health. GCMI opened its doors in 2012 and has worked with over 50 startups, clinical innovators, university tech transfer offices and academic researchers to design engineer prototype and facilitate commercialization of a broad range of medical devices. Mike, you guys are doing some exciting things. Mike Fisher: I love this job. No two days are the same. Every product that comes across our platform is unique and interesting and it's the most important thing to be innovator who's championing that product. Jon Speer: Yeah, that's great and I've talked with Tiffany Wilson many times and you several times and I know you guys have some relatively new things that have been underway, some partnerships and some strategic initiatives. Anything you can share with the audience about some of those recent development? Mike Fisher: Well, I know Tiffany is gonna be writing up some press releases pretty soon, but we've started an accelerator and there are a lot of accelerators out there and this is my first time participating in an accelerator. And one of the goals of the accelerator is really to create better companies to compete in the medical device space, and having worked for some of the large competitors out there, they need good competition because the way that they're going to grow platforms is often by acquisition, or licensing of innovative new technologies that can't be developed in house. So they need good competitors out there and we actually have a lot of active conversations with big players in the medical market space who I think innovators would be happy to know, are encouraging innovators to be competitive with their current ventures. They want to see medicine improve. There are risk profiles that they can't internalize, so they really require entrepreneurs to get out there, take some of that risk and be successful so that they can learn from those successes, acquire and leverage those new technologies and those new ventures. Jon Speer: Yeah, that's great and the way that you and GCMI are helping companies in this accelerator, I'm sure, it gets into this topic that you and I are gonna chat about today, process excellence leads to product excellence. So are you ready to dive in and really get into the... You and I talked to about this topic loosely the other day and I go, "Let's pause on this Mike, this is going to be a great podcast" and I know that you probably talk about and live this each and every day, so are you ready to share some of your favorite points about these various topics? Mike Fisher: Sure, let's get on with it. Jon Speer: Alright. So, I'm gonna talk... I think sometimes, especially listeners to this podcast and those who come to greenlight.guru blog and read our content, you probably hear a lot about things like design control and risk management, and those sorts of things, with respect to product development. And don't mishear me, those things are very important, and when Mike and I spoke a couple weeks ago, he reminded me, sometimes companies lose sight of some of these other areas that support product development as well and loosely speaking, we're talking about regulatory, we're talking about competitive landscape, specification development, intellectual property and manufacturing. So Mike, give me some insights, give me some pearls of wisdom that our audience needs to know within the context of process excellence as it relates to product development. Mike Fisher: Sure, so I think compliance is one of those things that you have to have, otherwise, you're dead in the water, but you don't know it until you get that first audit and then you're dead in the water and nobody's happy. And the goal also of compliance is to create an excellent product. So I think that if you elevate excellent product excellence to your top tier goal and objective, that's ultimately what people want. They want to disrupt the marketplace with products or services that are needed and useful and are helping people. It's one of the great things about medical products. Our worst day, is still a day where we're trying to help people live a better life. And that's a very noble goal, but there are some really crass economic, intellectual property regulatory constraints that go along, that drive a lot of our decisions. And I think that compliance really helps us to keep a goal on how to stay on the road and how to travel to the right destination. Mike Fisher: These other activities like getting the right regulatory strategy, getting a good competitive landscape figured out, figuring out what are the specifications that you really want to develop for your product, how do you establish your intellectual properties and how do you get a manufacturing platform established? These are critical to product realization. And when I worked for some of the larger companies, what we realized is, oftentimes we would have an innovator who had a great idea and the phrase I heard a lot was the deeper we dig, the less we find, the shorter this conversation. So, as an innovator, you want to make sure that when people start digging into your product and the ideas behind your product, that they start finding substance of risk documents and real product specifications and qualifications of vendors or materials or some sort of feasibility assessment, not just a great idea that has a single prototype and now money. Mike Fisher: That's not the way it works anymore. You have to have a lot more detail, so I think a good rule of thumb for innovators is your product, your prototype, your idea should be the thing that leads the conversation because it is the critical aspect of what it is that you're doing. But right behind that needs to be a strategic portfolio of assessment that isn't necessarily aimed at regulatory compliance, but more aimed at product excellence. For example, intellectual properties, you don't have to have a patent to be a very competitive player in medicine. You'd better have a freedom to operate, knowing that you aren't stepping on the toes of Striker, because Striker will do something to defend its space. Mike Fisher: So, when you launch your product, make sure that at least you have an intellectual property freedom to operate, that you understand that you're not practicing someone else's intellectual properties. I've had several clients come in with an issued patent and they say, "Well I've got an issued patent, therefore I can sell this product." I'm like, "Well, that's not actually the way it works. Getting an issued patent means that you have the unique ability to sell that particular product. But if your idea is just a subset of someone else's ideas, you're kind of in trouble because it means you've just created a better embodiment of someone else's current invention and the only people who can sell it is that other person who owns the principal intellectual property." I'm not a patent attorney. Most people don't have patent attorneys on their team, so most people should probably get a patent attorney on their team. One of things that I think is part of process excellence is finding out the strengths and weaknesses of your team and augmenting that team with consultants, expertise, vendor expertise and figuring out when do you need it, who do you need, how much is it gonna cost, etcetera. Jon Speer: Yeah, those are some great points. And as you were sharing some of those details, one of the things that I jotted down is the product excellence and point and, specifically, I think so many companies today, at least in my experience, they seem to be more focused on getting regulatory clearance, which getting regulatory clearance for something doesn't necessarily correlate to product excellence. I think they... I get it, you gotta get through those regulatory hurdles, but just because you get through those regulatory hurdles doesn't mean that your product is gonna be excellent. And I like the other thing that you said about patents, I think there's a little bit of head trash around that topic too, where a company says, "Oh, I need a patent, I need a patent, I need a patent. Because therefore it gives me some sort of a... It means my products is excellent in some sort of way." And I think these are just conventional wisdoms that are wrong, frankly. So, I appreciate some of those insights. Mike Fisher: Yeah, I think you're right. And I think that my clients often times tell me I go dark on them, because I do have some stories and sometimes you do learn more through pathology than through normal physiology. So I inherited a project at a very well respected company, a very large company that was really great in its market space and we were five years into this project, and we sat down behind the glass windows and had a collection of users of the device, sit there and we handed out the device and they opened up the package and they all looked at it and all of a sudden this one guy goes, "It's really not that bad." And that was the best comment we got. I had a two 510(k)'s, I had manufacturing processes scaled up for 20 million products a year, and I sat there. And like I said, I inherited this product, but to get a comment from a key user that, "Gee it's really not that bad," that's not where we want to be. And the fact that we nailed our specifications, we were completely compliant. We hit all of the requirements, all the consensus standards, we had two 510(k)s and really not that bad, is where we ended up. Jon Speer: [chuckle] Well, I guess it could have been worse, but at the same time, that's probably not the reaction you were looking for. Mike Fisher: No. It was very disappointing. So, when I say things go dark, it's like, "Okay, we complied with everything, but just because you complied does not mean you have a great product." And I think a great product is what every entrepreneur and every company wants to sell, whether you're a big company or small company. And when you missed the mark that is a painful day and I will never forget sitting back in my chair behind that plated glass window with a mirror on it and looking at this guy and thinking, "I think you just sunk my project". And I went back to my manager and I said, "What are we doing?" If that's the best comment we can get. Are we gonna be that price competitive, are we able to sell this thing that well that we can really sell, really not that bad and market the heck out of it?" Mike Fisher: So, I think that when you're an entrepreneur, you should be looking at, well, what are my compliance activities, what are my consensus standards, how do I have to design this product to meet a regulatory goal? But that shouldn't be how low can I go, it should be how great can this thing be. What competitive advantage do I have? For example, when you do your market assessment, you look at your total market and then you look at niches within that total market, and if you can occupy a 5% niche market within a three billion dollar market, that's a great product. And it's a target that the J and J's of the world probably aren't targeting because they're targeting the larger overall market. But as an entrepreneur, you can take that and you can really do something with it, and if you delight 5% of a three billion dollar market and start getting natural adoption into that space. My gosh, that's a very attractive life. Jon Speer: For sure. And I wanna go back to the experience that you had, where said you got two 510(k)s, you went through almost the entire product development process before you put this product in the hands of the end user to get the anticlimactic reaction of it's not that bad. Mike, is there something, looking back on that particular experience, and I'm not trying to open any wounds here, but... And I apologize if I do, but looking back on that, is there something that you could have done differently in that particular scenario to get that reaction sooner so that you could have pivoted on that particular project? Mike Fisher: Absolutely. And so key opinion leaders in the marketplace and the design validation is something that you shouldn't wait until the tail end of a project. You should be doing design validation early, early on, even at the concept level. Even talking with a very limited number of potential users, you're gonna get some good candid input. What happened in this particular product was the marketplace had changed. So we have a changing medical device market place between the Affordable Care Act and some of the newer things that are coming out, but you're also seeing a shift from operative surgical centers into a home care environment. That shift was happening while they were developing this product, and the key drivers of adoption were going from medical professionals to the final user, and all of a sudden consumer characteristics started dominating adoption. The consumer of the product, the person who was actually using and applying the product on their own body was making the purchasing decision, not the expertly trained medical doctor. And the company I worked for had exquisite detail on what that medical doctor wanted, what was an appropriate risk, what did the hospital supply chain need, but they had missed what the final end user really wanted. I'll never forget the guy said, "When I open up your device it sounds like I'm opening up a bag of Doritos, [laughter] it drives my family crazy." Mike Fisher: I was like, packaging sound is important. And the team kind of laughed and they were derisive of what he's just said and I'm like, "Wait a minute, that dude is not buying my product, not because it's not a good product, but because I missed something that... He resents the sound of my packaging, he resents the labeling on my packaging, he resents the fact that it looks so bland and so medical." He wanted something that looked more consumer-ish. And I think that that was the miss at multiple levels. So, like I said I worked for a great company, and they did a great job in risk, in all these other aspects and they really made a new market or a new product for a market that was going away and I think that was the issue that really played out there. And this was a scaled up manufacturing process that we had huge capability, and it was a big miss and it's one of those things that it stings me to this day. So yeah, you did open up a wound, but I brought it on the table to say this is important to understand your market, understanding where the market is going. And I think it's also encouraging for the entrepreneur or the person who wants to be disruptive to recognize, oftentimes, the large competitors have these blind spots. We should have seen it coming. Mike Fisher: And I think that was the other thing that happened. And my management was stinging pretty deeply from this because they knew that was a strategic miss, more than a technical miss. Yeah, the technical guy didn't get enough design validation early on, but strategically they had us aiming at a target that was fading off in the distance and the emerging target wasn't even on our radar. And so, they addressed that strategically by... So that company is doing fine, they're doing great and their stocks are spectacular. But that was one of the little... It was a little miss, but it's a painful miss, 'cause it's part of your career and part of wasted time. We ended up not commercializing that product and there are people in the manufacturing site that paid with their jobs and we had a plant that went fallow. And I think they were still repurposing that. So that's wasted effort, and we all have limited time on this planet, so make sure that you get the big bang for your buck. Mike Fisher: [laughter] Someone agrees with me. Jon Speer: Folks, pay attention, we're talking to a powerful individual here, Mike. But I appreciate you being a little bit vulnerable with that story, too. And I've shared stories in my past on this podcast and in other forums that a lot of the mistakes that, or misses I say, mistakes, misses whatever the case may be, because it's important folks that you're gonna have those and it's important to accept that, "Hey, things aren't gonna go exactly the way you planned, but let's learn something about that". And I wanna share something from my past where I remember being a young engineer working on, it was an exciting project for me, I was working on acute hemodialysis catheter and that's an interesting product space by the way. I'm sure you're probably somewhat familiar with that. But very competitive, lots of players. And I felt like I was on to something with some of the design work that I was doing and I still think we had some good things going, but when we launched the device, it launched with a resounding thud. Jon Speer: And I remember beating myself up there for a bit about that because I'm like, the engineering, the design work, the specification development, all very sound. Trouble is, I'm not sure that there was a big market for the device. And, at first, I wanted to point my finger and say it's those guys fault, but product development isn't a singular functional area, it needs to be an enterprise wide type of event and process. And I think that's where sometimes companies make mistakes too, is they look at product development being engineering-centric and forget about it being more of a business. Mike Fisher: Yeah, and businesses are more about relationships than about technologies. And for a techie guy like myself, I'm very tactical. Give me an objective, tell me which hill to take and I'll take that hill and if it was the wrong hill, then we all took the wrong hill together. Yeah, so don't point fingers, just say next time let's choose a better target. But I feel like, yeah, you have to understand your market and also... So one of the things that we're seeing at GCMI, we work with a lot of entrepreneurs and physician innovators, is defining your market and then trying to line up your resources. And lining up your resources is a very difficult thing. Going to QMed or MDDI and getting a list of vendors and contract manufacturers, suppliers and consultants, that's tough and you gotta choose the right people, but then you gotta figure out how to pay for them and how to get your investment put in a good light. And I think one of the reasons I'm going down this pathway is, it is getting harder to get that investment. Mike Fisher: I have made the argument that the medical product development process is getting more complex. FDA is asking for more data and they're doing that because they've been burned in a bunch of respects, and so more is better. They're a science based organization, they want to make decisions based on evidence, not based on hyperbole or conjecture. They tell people faith based regulatory science is just a thing of the past. No one has faith anymore, they really wanna see data. Well that means you have more work streams that require more rep resources that are gonna take you longer and the pot of gold at the end of the rainbows, in some cases, getting smaller because we're watching our marketplace change, we're seeing some competitive pricing pressures really affect things. So it's taking longer. The pot of gold is smaller, the addressable market is in some cases more difficult to address, which means your time value of money calculation is saying, "Hey, it's gonna cost you more and the returns are lower and they're further out, which means only meaningful innovations are going to get funded." If you think you have a meaningful innovation, what you really need, more than anything, is a fantastic development strategy to communicate to people. Mike Fisher: I haven't just thought about the product and the process and manufacturing and compliance and regulatory, I've thought about reimbursement, I've thought about supply chain, I've thought about strategic partnerships. And the strategic partnership aspect of things, I think, is very interesting, because I'm watching this now with Accelerator. These big companies bring small companies to us and, say, mature these folks to a point where we can have more meaningful conversations with them. And one of the things I'm sensitive to is your supply chain becomes really important. So if you are using third tier raw material suppliers and small mom and pop shops to do manufacturing, it is very difficult for a Johnson and Johnson operations engineer to look at your design history file, to look at your supply chain, to look at your materials and say, "Yeah we can put the weight of my organization on what you just built." So, selection of down to what raw material are you using. Are you using a name brand ABS plastic or are you using the cheapest thing you could find? And there are times when the cheapest thing you could find gives you that competitive pricing advantage that your product needs. Mike Fisher: But there are other times when you can say, "You know what, I've got a ultrasonically welded handle, I want to use a top tier material to make sure that if I'm talking with a large strategic partner, that material is familiar to them, or the supply chain is familiar to them. And if they needed to ramp up manufacturing 10X they know that material supply is robust and will be available. And it's one of those things that you don't often think about early on in a project, but you should at least have a memo somewhere saying I've considered this, and rather than ignoring it, I'm acknowledging, I'm making this decision for these reasons. Jon Speer: Yeah, and... Yeah, a lot of great nuggets in there folks. And I think to summarize a couple of concepts that I want people to wrap their heads around. First concept, always increase value and realize that, we talk about this, you used this phrase in a number of different ways here at greenlight.guru, but product development is not an event, it's a process. It's not like you're just gonna catch lightning in a bottle and all of a sudden say here we are. You have to be methodical about it. But at every step along the way, figure out what your key phases are, define your process, identify all the phases or stages or whatever word you wanna use to describe these major chunks of time or major areas of focus for those phases of your process, but identify what the value is at each one of those phases, and that's key. And I think a lot of times people, they get focused on that, as we talked about a moment ago, that regulatory clearance, and they get focused on trying to figure out how to find the least expensive, quickest, fastest, what appears to be the quickest, fastest, way to manufacture. They identify a few suppliers early on and then they just go down that path and then they're just trying to check boxes. They don't understand this value concept. Would you agree with that, Mike? Mike Fisher: I would. I would say there's a very popular TED Talk about why. If you understand why you're doing what you're doing, then you're gonna be a much smarter person in executing on that task. If you're checking boxes because you have to have objective evidence that you've created risk documents, you've already missed the intent of the risk document. I watched people with a finished mold, and a manufactured part and they've got some feasibility data and then they're gonna go off to verification validation and they're gonna have their regulatory officer or their consultant write up the risk documents to comply with the product that they have in front of them, which means you've completely forgone what the risk documents are supposed to do in uncovering hidden flaws or design features or issues. Mike Fisher: And then I have seen really good engineers come up to the end of a project and slap themselves in the forehead. The first clinical case they see something that woulda, coulda, shoulda, it's a miss. And there's a feature that was missing or a safety element that could have been there and had they been more diligent in that risk identification process, they would be in better shape. And you hate to see that because very few people have a desire to launch a bad product or to have a product with a critical flaw. And the risk documents are really there to help you uncover that. So, like you said, if you're checking boxes, I think you're missing the point of the process. If you're aged in the process and your goal is to be really good at it, and really quick at it, now you're making everyone happy. And your VP of R&D will be less frustrated that you've got a 60 page FMEA report on potential failure modes. But if you did that report very quickly, early on in the product development process, and you can say here are the flags that we put up there and here's how we're knocking those red flags down, or elements or design features that we think have these certain failure modes, alright, now you're being smart and you're doing the right things the right way, in the right order. Jon Speer: Folks listen to this man, he's speaking, he's giving you so many insights and so many nuggets of information, and I would encourage you, especially if you're in product development in any way, shape or form, this might be one of those podcasts that you flag and listen to from time to time. Mike, we're at a point in time where, let's give everybody, I guess, Mike's number one tip, if there's such a thing, when it comes to process excellence leading to product excellence. Do you have a number one or maybe a top three or something like that, that we can wrap up our discussion today? Mike Fisher: Yeah, I think ultimately, you need to know your product and your market better than anyone else, and secondarily, you need to develop a fantastic team. And if you can't have it internal, then have it as consultants and folks who are guilt by association. Find people who can support you and have your best interest in mind, because no one's gonna do it alone, no matter how smart you are, or how experienced you are, a really good team makes all the difference in the world and avoids a lot of problems. Jon Speer: Yeah, that's great insight. So, Mike, thank you for being the guest on the global medical device podcast today. Ladies and gentleman, Mike Fisher, Director of Product Development at Global Center for Medical Innovation. And for those of you that have some questions or comments, or wanna learn a little bit more about process excellence and how this can help you lead to product excellence, Mike is certainly a guy that you can connect with. Michael Fisher, F-I-S-H-E-R and GCMIs website, devices.net, Global Center for Medical Innovation. And remember, Global Center for Medical Innovation is part of an accelerator, folks. They understand medical device product development, they understand challenges with prototyping and manufacturing and getting through those regulatory hurdles, so much so, that they've built an organization around this to help truly accelerate your product development efforts and get you on the path to product excellence. So check out what GCMI is doing. Go to devices.net. One other thing that you should be aware of, I'm sure if you're not already. Jon Speer: You need to go check out what we're doing at greenlight.guru. We've built a software platform that is a big piece in helping companies drive towards that product excellence. We've got workflows that streamline the design control and risk management process in addition to helping you manage and maintain your documents and records in your quality system, but do so in a way that allows true collaboration amongst your product development team. So, if you're interested in that, as well, please go to the greenlight.guru website. It's simply www.greenlight.guru and you can request more information and we'd be happy to talk about what it is that we do. So Mike, again, thank you. Mike Fisher: Jon, thanks a lot for the invite. I hope that this podcast is useful to someone. Jon Speer: Absolutely. And folks, we'll talk to you again soon. And this has been Jon Speer, the founder, VP of Quality and Regulatory and your host for the global medical device podcast.